Finding the cheapest car insurance in the UK can be frustrating. There are a lot of things to take into account, not simply the car that you drive. It is not impossible to find a cheap policy, though. There are many policy options to look at that can make your premiums more affordable while not neglecting the cover that you need. There are three basic insurance policy options for you to choose from, and many benefits within each of those. By UK law, third party only insurance is the minimum cover required. It is usually the cheapest car insurance of the three basic options so may be suitable for those on a very tight budget. Should your car be involved in an accident it covers you for damage to other property including other vehicles and injury or death to other people. It does not cover your car or yourself. This level of cover provides everything that is covered under third party insurance but also covers your own car should it be stolen or damaged by fire. Fully comprehensive car insurance is usually the most expensive of the three policy options because is carries the broadest cover. It covers you for everything detailed under third party, fire and theft plus it will cover your own car should it be damaged or written off even if the accident were your fault. You may also be able to buy extra options at the same time that you arrange your policy. 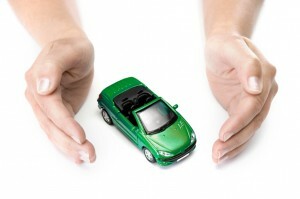 These are most commonly breakdown cover, legal cost cover, and courtesy car provision. In the event that you are in an accident or your car breaks down and your car is unavailable for a period of time, you can have the costs of a temporary vehicle covered. Legal expense cover pays for legal costs relating to, for instance, accidents involving people who are not insured or are not properly insured. There may be some discounts that you can inquire about before buying a policy. Multi-car policies may save you some money on each car that you include, as may be having more than one type of insurance through the same company such as home insurance as well as your car’s policy. The more security features your car has such as an alarm, the lower your premium may be because your car may be seen as less of a risk of being stolen. You may wish to take your time when looking for cheap car insurance perusing and comparing the various quotes you get to make sure you are comparing like with like and that you are getting the level of cover that you need.